Take a walk on the wild side with a place mat kit that will make you feel like you’re on safari! 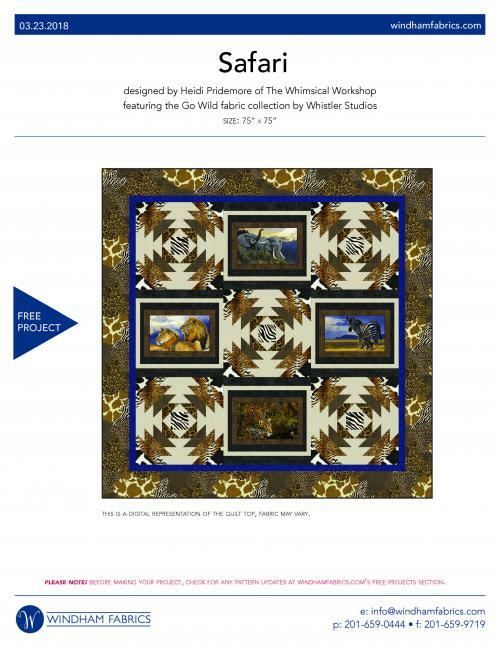 This pieced kit includes a pattern a digitally printed panel for the top, binding, and backing from the Go Wild collection by Windham Fabrics. Finished size: 16 1/2" x 11 1/4"